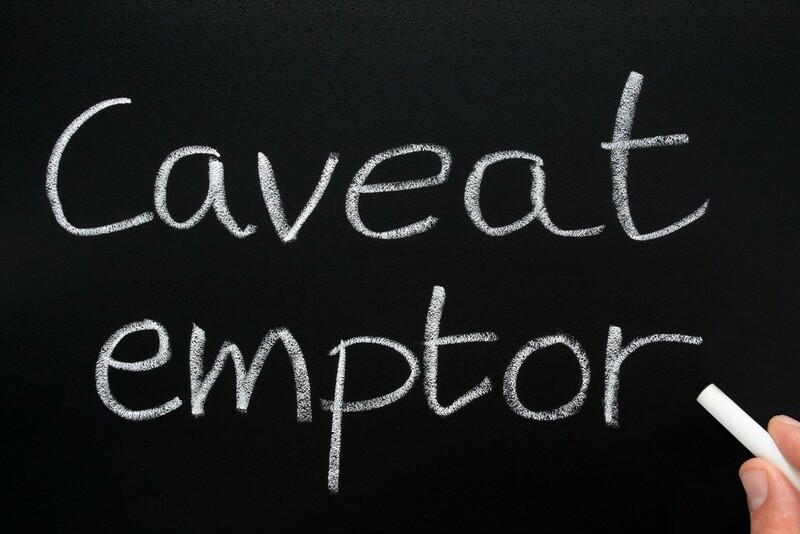 The Latin phrase Caveat Emptor means “let the buyer beware.” The application of the Caveat Emptor principle is most often applied in the sale of property where a purchaser has a specific period of time to discover any defects. After that period of time expires, the buyer accepts any defects he failed to detect. In the offer and sale of securities, the Caveat Emptor theory is reversed. Any seller who misrepresents material information to an investor in connection with the offer or sale of a security, whether through affirmative statements or omissions, has committed fraud. The anti-fraud provisions of the federal securities laws are found in Securities Act Section 11, Securities Act Section 12(a)(2), Securities Act Section 17(a), Exchange Act Section 9, Exchange Act Section 10(b), and Exchange Act Rule 10b-5. Despite these anti-fraud provisions, issuers and individuals selling securities may not provide investors with the disclosures necessary to allow them to make an informed investment decision. The OTC Markets Group identifies securities with a Caveat Emptor symbol when it is probable that there is a lack of adequate public information about the issue. The Caveat Emptor designation is used to warn investors that there may be reason to exercise additional care and perform thorough due diligence in making investment decisions about that particular security. The Caveat Emptor symbol is displayed in place of the OTCQX, OTCQB or OTC Pink marketplace designations. The symbol is displayed wherever OTC Markets Group quote data is available. The designation may be applied to all market participants. The OTC Markets has identified specific circumstances in which a Caveat Emptor designation is assigned. Once assigned, more often than not it is not removed. The circumstances are set forth below. The security is being promoted to the public, but adequate current information about the company has not been made available to the public. Adequate current information must be publicly available during any period when a security is the subject of ongoing promotional activities. At such instances, as a matter of policy, when adequate current information is not made available, OTC Markets Group will label the security “Caveat Emptor.” Promotional activities may include spam email, unsolicited faxes or news releases, whether they are published by the company or a third party. There is an investigation of fraudulent or other criminal activity involving the company, its securities or insiders. When OTC Markets Group becomes aware of such investigation, the company’s securities may be subject to Caveat Emptor. A regulatory authority or an exchange has halted or suspended trading for public interest concerns (i.e. not a news or earnings halt). The security or company is the subject of a corporate action, such as a reverse merger, stock split, or name change, without adequate current information being publicly available. The security has only been quoted on an unsolicited basis since it entered the public markets and the company has not made adequate current information available to the public. OTC Markets Group has determined that there is a public interest concern regarding the security. Such concerns may include but are not limited to promotion, spam or disruptive corporate actions even when adequate current information is available. Investors should exercise extreme caution before purchasing a security with a caveat emptor designation.